That’s right… divorced chickens. Last weekend the BF and I were out doing errands and stopped in for lunch/brunch at a little place in Adams Morgan that serves Central American food. Generally we’d get such treats in our own latino neighborhood, but I was glad when we sat down because I saw something glorious on the menu. Huevos Divorciados. It was simple and it was delicious. Of course that dish was also covered in cheese… but still, would’ve been awesome w/o so much cheese. So I endeavored to create a similar more dinner-esque dish… pollos divorciados. 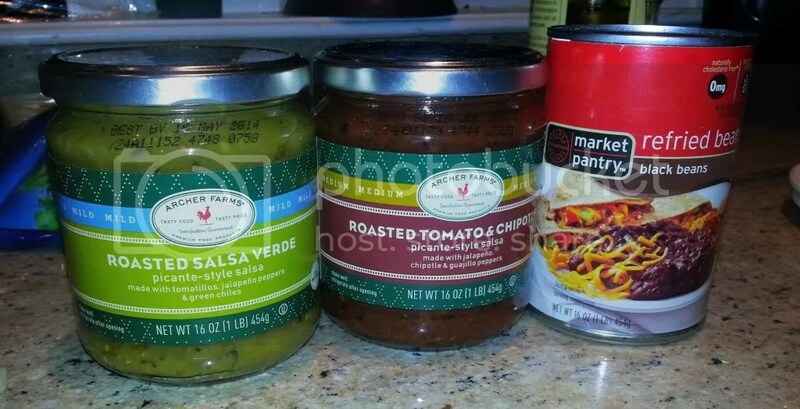 I was really lazy, so we used jarred salsa, but here are a few options if you’re less into the 30 minute meal and more into the all from scratch meal. But like I said… I went to Target. Don’t judge. Season your chicken with some spices. Mine was a blend of adobo, cumin, smoked paprika and a little garlic powder (though Adobo already has some). Toss your chicken breasts in a bowl with these. Essentially it’s a seasoning rub. Tada. You know my drill — use thekitchn’s guidelines for this part. 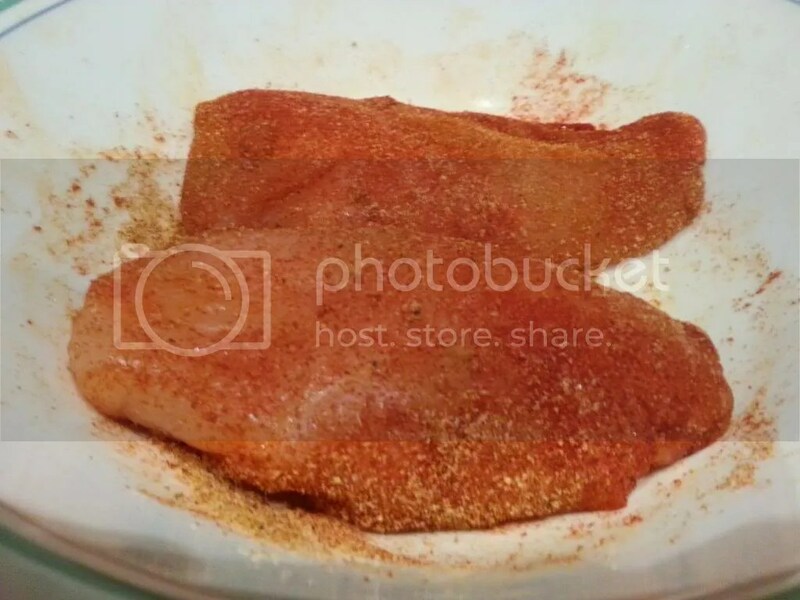 It’s the only way to make tender, moist boneless skinless chicken breasts that I’ve found. Sear both sides, cover with some broth or wine or water and don’t touch them. Seriously it’s like magic. This is where you toast your corn tortillas in the oven (350 or so is good, and remember to flip after a few minutes). This is way healthier than the fried version you’d get with huevos divorciados at a restaurant, and really you’re going to cover them with salsa anyway, so no loss there. Just crisp them up a bit. The roasting is for your veggies if you want some on the side (you know, for nutrients and such). We just used peppers, onions and tomatoes. But don’t be like me and decide to roast 1/2 a tomato in your caste iron. 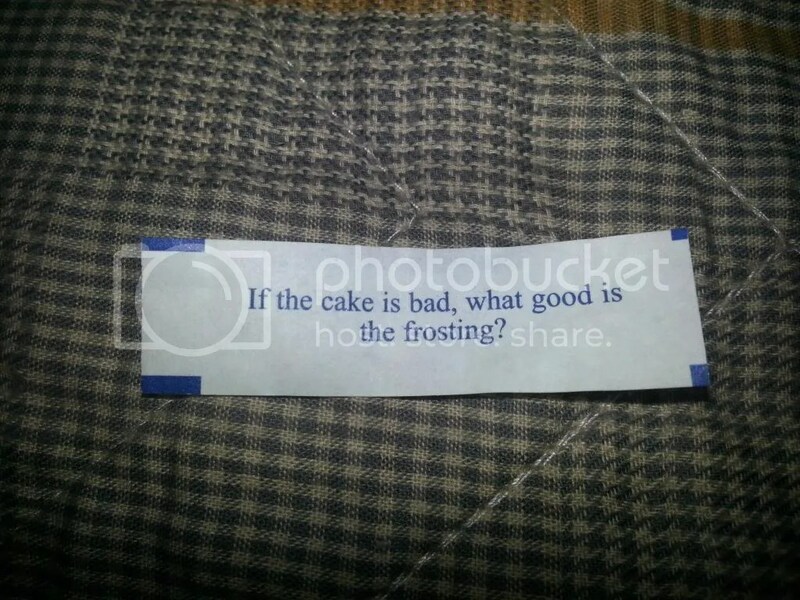 It’s dumb and you have to reseason it. Either use a broiler or another heavy pan. 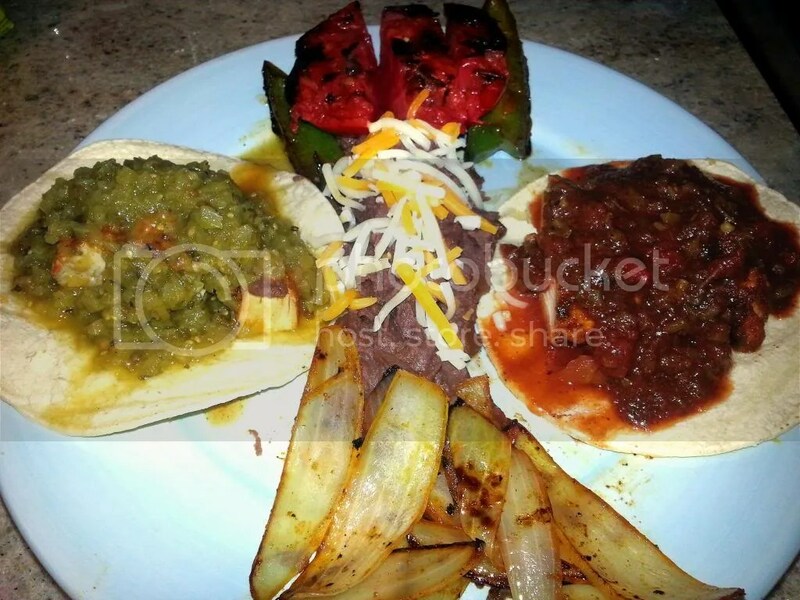 On either side of your plate, place one toasted corn tortilla. On top of each, slice 1/2 of a chicken breast. Now, put your sides in the middle. 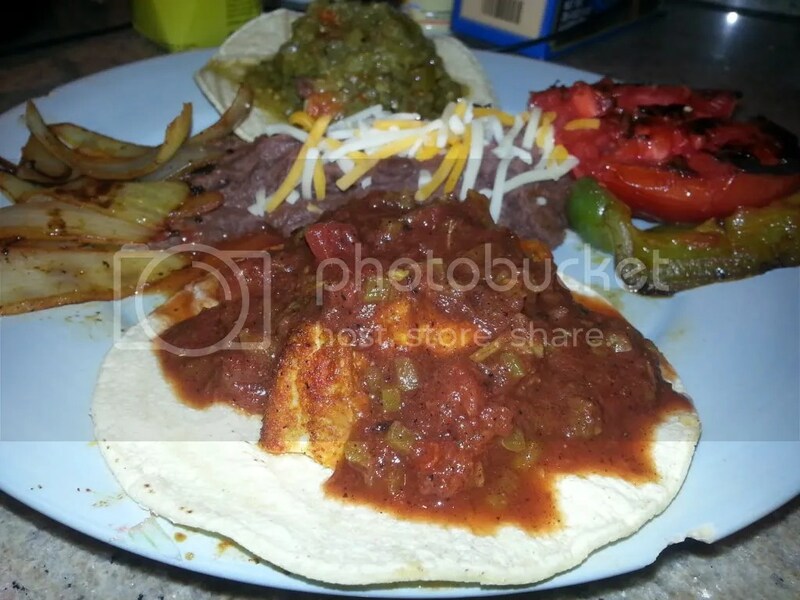 You can use the refried beans as a salsa barrier, or roasted veggies or corn etc. Anything you like. Just lay them right down the middle. Lastly, the salsas. Verde for one side, roja for the other. It looks messy (and is when you try to eat it) but mmmm delish. At restaurants they’ll cover every millimeter of that corn tortilla with sauce (and maybe cheese) but we didn’t feel the need to go all out like that. This was enough for us… but it’s prettier if you really pour it on. Up to you. Enjoy! Let me know if you come up with any other two-sided dinners. I love the variety!